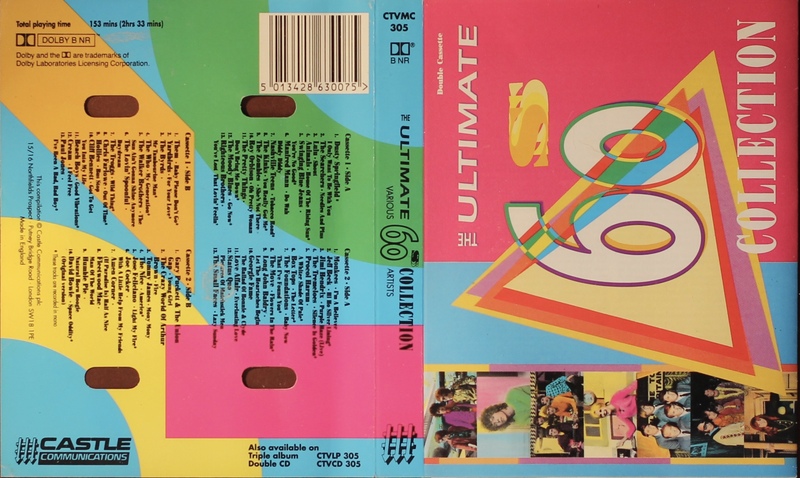 The Ultimate 60’s Collection: UK; Castle, CTVMC 305; 1994. 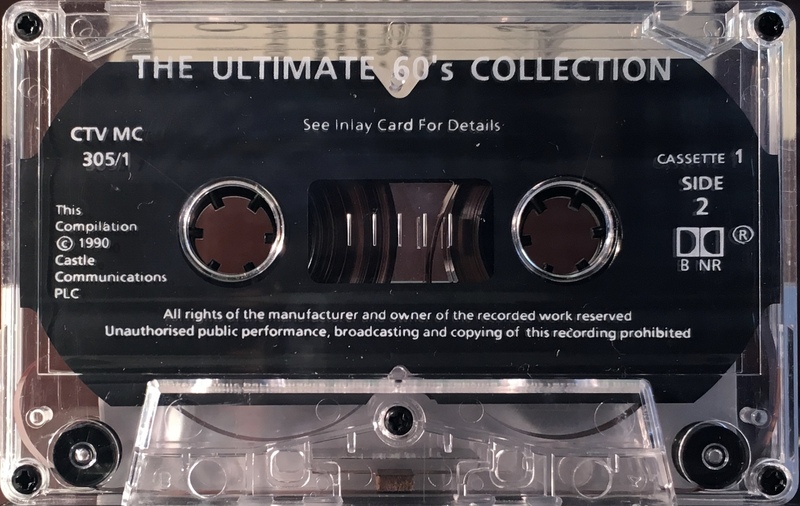 David Bowie performs on one track: ‘Space Oddity (original version)’ (3:35), on Cassette B, Side 2. White ink printed directly to clear shell with shaped slip sheet marked with ‘EMI’ logo and BIEM/ MCPS rights.